At Ambiance Design and Staging, we believe the house we live in is our own reflection. Our house dictates how our day will go. Our house cheers us up when we come back from work. It is one place, we spend most of our time. A beautiful, clean and inviting house brings that feel of content and joy within us. That's the house we call THE HOME. We at Ambiance Design and Staging understand that and work with you to get that dream home. We listen to you, read between the lines, add our expertise and help you visualize the transformation. We walk with you throughout the whole process. Don't worry, we have you covered. We have experienced designers, who have been in this industry for more than 10 years. We offer the best creative interior design services at very affordable prices. We offer a full range of residential and commercial interior design solutions that is custom tailored for your needs and taste. We have the knowledge, expertise and passion to transform your vision to a beautiful reality. We also offer home staging services for staging your home for quick sell or rent. Ira is an interior designer specialized in residential designs. She has a certification in Interior Design and has an experience of more than 9 years. She understands the importance of listening to client's requirements and thus makes sure that design reflects their persona. Her unique ideas, striving for perfection, attention to details and exceptional understanding of colors are some of the qualities her clients appreciate. Her passion for design helps make houses beautiful yet functional. 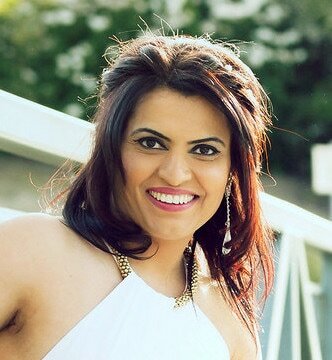 Payal has been doing Interior Designing and Staging for more than 9 years. She has an extensive redesign background with a certification in Interior Design/Graphics Design. Her style is characterized by wonderful touches of transitional and contemporary design. Her experience with space planning, color scheme and decorating along with graphics design and AutoCAD gives her perfect blend for modern day interior styles. Her ultimate objective of design services is to bring elegance and comfort to your home.